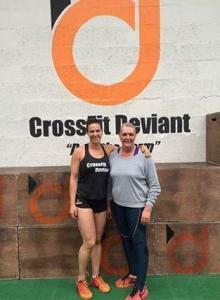 Victoria Riley and instructor Kirsten Hagen at Crossfit Deviant. When mum-of-four Victoria Riley finished her chemotherapy in May 2015, her doctor gave her a blunt ultimatum: lose weight or add to the risk of her breast cancer returning. For someone who was not particularly active at the time, it was a scary scenario. How was she going to go about shedding the pounds? Fortunately for Victoria, help was at hand. 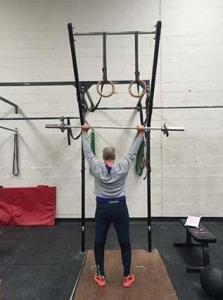 Her two sons both at Crossfit Deviant in Derby, which specialises in training programmes based around functional movement (such as running, jumping, lifting and rowing) and suggested she gave it a try. It was a decision that has really paid off, as Victoria has discovered an activity she has not only been able to fit in around trips of follow-up radiotherapy, but which has allowed her to go at her own pace. "Victoria really is an inspiration to everyone," said Crossfit Deviant instructor Kristen Hagen. "When she first joined, she would struggle to run 400m without stopping and now she is running 3km and really active. "She has been through treatment that has been hard on her body and it's been hard on her family too, but she has come in and done all the sessions with a smile on her face. We've probably had about 10 sessions so far, some more intense than others depending on how she is feeling. "But she really gives everything to her work-outs and I'm so proud of the way she has taken it on because it is not always an easy thing to do if you have never been to a gym before." Victoria works up a sweat. In Crossfit, no mechanical machinery, aside from a rowing machine, is used. Instead, equipment such as weights and kettlebells are the norm. The idea is for each individual who attends to adapt a chosen Workout of the Day (WOD) into their own routine. Kristen added: "I think it has given her something to focus on and helped not just in her recovery. She's also talked in terms of getting her life back. She wants to be healthier, and her determination puts to shame those of us who think we can't be bothered going to the gym. "For a lot of people who have got to know her, it has brought into focus that health is something to be valued and that we shouldn't take it for granted." Kristen believes regular workouts have also helped improve Victoria's confidence and enable her come to terms with the loss of her hair, brought on by her chemotherapy treatment. "She is unafraid to train without her wig, even though one of her sons has told me she has only recently started going without it at home," said Kristen. "She got to the point where she was getting really warm exercising and had no hesitation in whipping it off! "I wish I could explain how proud we all are to have Victoria in our community. We're proud of her courage and proud that this is the kind of place that makes her feel comfortable." 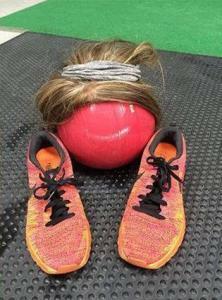 Victoria leaves her wig behind for work-outs. Victoria's excellence progress has prompted Crossfit Deviant, based on Cranmer Road, to look into ways they can liaise with local cancer centres to help other women like her. They are also consulting with Victoria's specialist and Kirsten said: "We are just seeing if there is the interest out there at the moment for us to lend our support. "There are lots of women who may be in a similar situation – the fact is we all know someone who has been or is affected by cancer – and it would be great to support them too." To find out more about Crossfit Deviant, go to their website or facebook page, email crossfitdeviant@gmail.com or call Kirsten on 07779 332012. To search for a physical activity from hundreds across Derbyshire that can help you get in shape, go to the club and activity search.